Have a cracker on your office Christmas party! 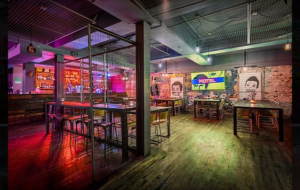 Looking for somewhere to host that last minute office Christmas party this year? We’re pretty sure that all local business owners would be thrilled to have you, making those pounds spread further in our local economy. 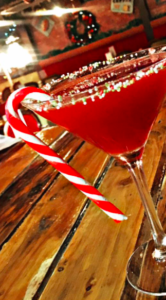 In conjunction with our passion for all to have a local Christmas this year – we have round up some pretty amazing venues that certainly do not hold back on quality for fun. Delifonsecca’s city centre restaurant, Fonsecca’s, have some pretty outstanding packages. 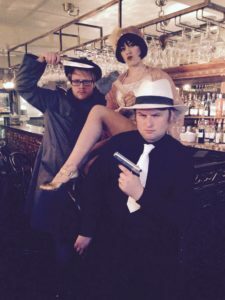 Every Tuesday and Wednesday evening throughout December you can join them for a night of Murder Mystery and a festive twist sharing platter for £44.95 per head. 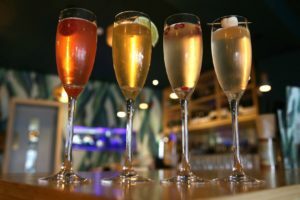 Solving the death of Liverpool’s biggest mobster with a complimentary glass of fizz for the whole office (when paying on Colu) sounds fun to us! However, if you fancy something a little bit more formal this year, they also have two other options available from the 1st-23rd December. From three courses with wine for £35 per head to Christmas canapés and handhelds for £20 per head – they’ve got everything your office needs for a great night! 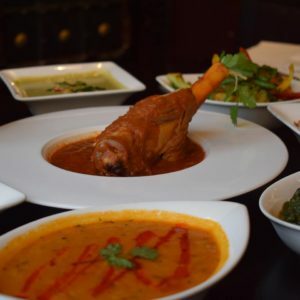 Spice up your Christmas party this year at Mayur Indian Restaurant. If your work pals are partial to a good curry, then this is the place for you. 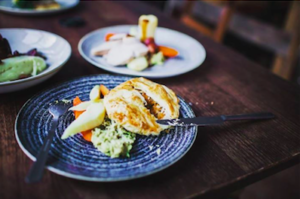 Giving the option for a four course, yes four course – lunch and dinner all throughout December, be sure to not eat for a week before booking here. 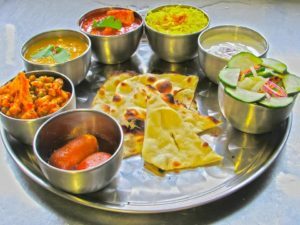 Dig right into their fine dining Indian menu and enjoy a good curry with your loved ones from work. Only Death Row Diner would give the option to accompany two or three courses with a crate of beer and a bottle of shots. 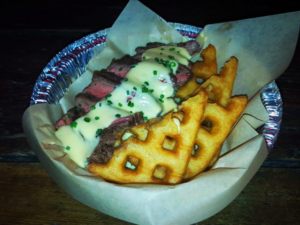 If your office fancy a great meal without sacrificing the opportunity to get their boss absolutely smashed then we highly recommend this one. A ‘Miracle on 32 Hope Street’ washed down with plenty of sambuca please, waiter. Who doesn’t love a good steak? 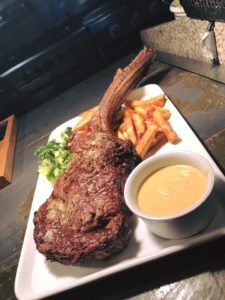 8oz steak with chunky chips from Churrasco Steakhouse is always a winner. Not only do they have fabulous steaks, but their battered turkey Christmas burger served with gravy and potatoes sounds like great festive fun to us. 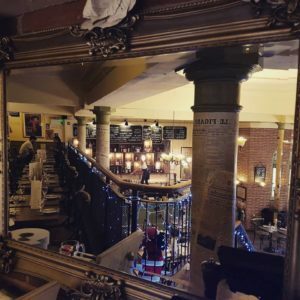 Hideaway in their warm and cosy restaurant at the bottom of Lark Lane to experience to best steak in Liverpool in the company of your hardworking team this year. 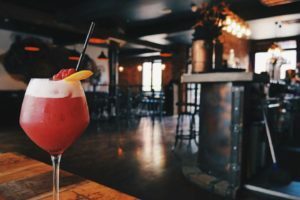 Do you work in Waterloo or Crosby and fancy treating the team to a night at one of their amazing independent restaurants? 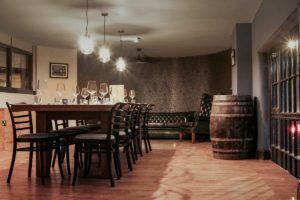 The Workshop on Crosby Road North has a special festive three courses with a bottle of wine for £20.95 per head. They also have a tasty looking buffet menu available for a minimum of 20 and a maximum of 50 guests from £15 per head, available from the 1st to 24th December! Have your Christmas party with HUS. Fancy something a little bit Scandinavian? After all, they sure are the kings of winter. 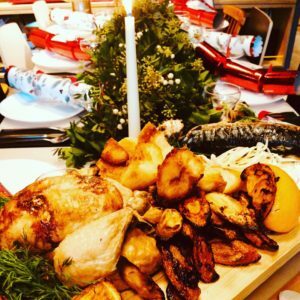 Impress your team with something different this year with their ‘Christmas feast’. 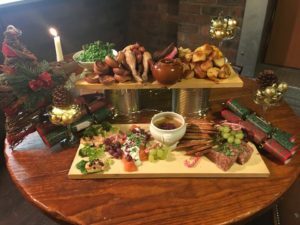 This three courser, locally known as a smorgasbord, will bring you the best of English and Scandi traditions. 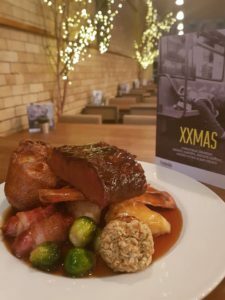 Slow roasted duck flavoured with star anise, cinnamon & sweet plums washed down with a glass of Nordic mulled wine, (Scandi Glogg for the experts), sounds great for only £30 per head. This one is sure to feel super cosy and heart warming for all. 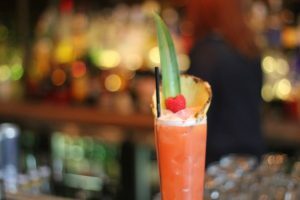 Looking for great drinks packages for those after meal drinks? 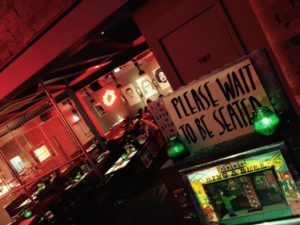 Why not head to Motel bar on Fleet Street, this cool dive bar will make the perfect place to put back sparkling cocktails on arrival, two bottles of gin, four bottles of prosecco and a bottle of Chambord for the team for £250. You’ll be guaranteed a great night and with an even better opportunity to embarrass the boss. 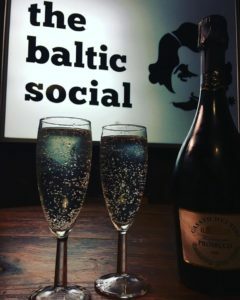 On the 22nd December – The Baltic Social have a bottomless Christmas dinner. Yes, that’s right, no fights over the last pig-in-blanket. If this isn’t pure genius then I don’t know what is. It gets better, the booze is bottomless too. 2 hours of pure excessive festive joy that will keep coming out until you’re on the very last notch of your belt. You can attend either of the two sittings for £30 per head. There is one from 1pm-3pm and the other 3.30pm – 5.30pm. Be quick on this one though guys, because we’re sure it will sell out fast. Enjoy a good pad Thai in a gorgeous setting? Who doesn’t. 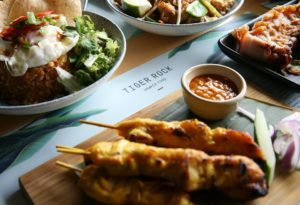 Tiger Hawker in the City Centre have a three course set menu full of Thai food to die for for only £25 per head – including a glass of prosecco on arrival! Not bad ey. 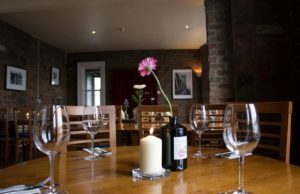 Get warm and cosy in any of the fabulous Bistro Pierre, Bistro Jacques or Bistro Franc for a £15.95 lunch or £20.95 dinner. 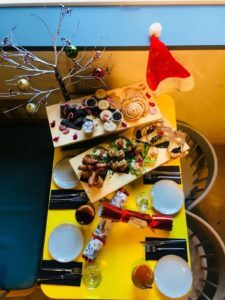 Their Christmas menu is full of heart warming festive foods, including cheese boards for dessert. If this sounds like up the street for your then any of the above will be perfect to celebrate the year gone by! 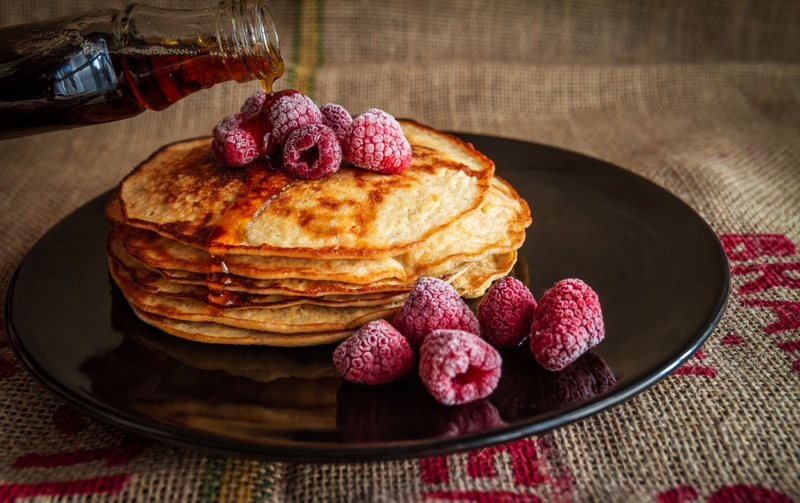 These are also highly accommodating for vegans – with at least one vegan option on every section of their Christmas menu. 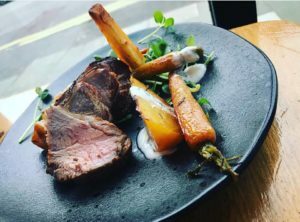 We’ve noticed some pretty tasty mains on the Chancery’s menu, served ‘with all the trimmings’. Always a good sign. 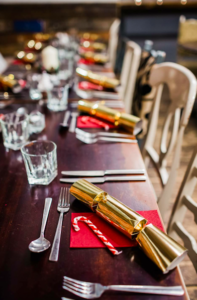 Well known for their top quality food and drink, this cosmopolitan restaurant in the centre of town is the perfect place for your works Christmas three courser, for only £29.99 per head! Something has to be said for the quality of the food at Clockworks. 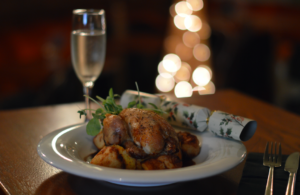 From stuffed Turkey to Slow cooked brisket beef – everything on their Christmas menu is sure to be amazing. 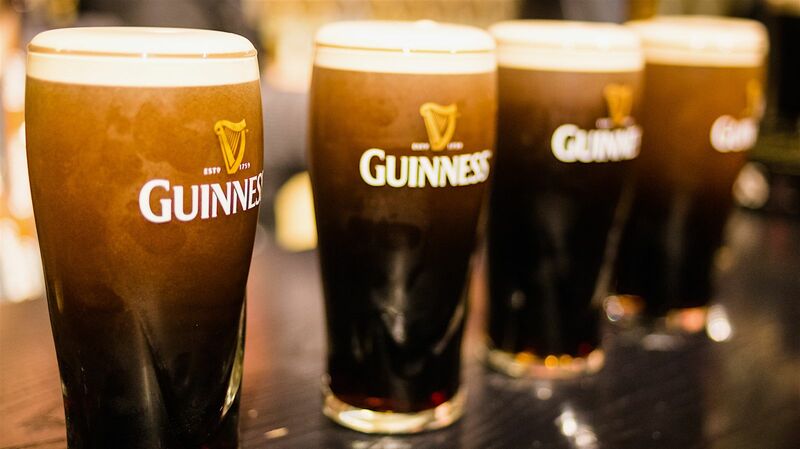 For only £25 per head, there will definitely be room on the tab to wash down a few espresso martini’s. To grab a slice of this make sure you request the Christmas menu on booking. 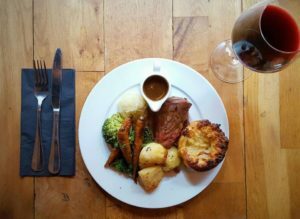 Buyers Club looks pretty magical this time of year, and if their roast dinners are anything to go by – then the bar is set pretty high. 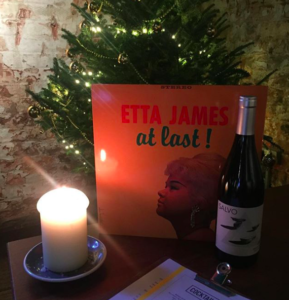 What better place to enjoy a juicy bottle of Malbec and listen to some Etta James than in this aesthetically pleasing interior. 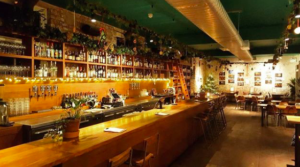 City Wine Bar on Old Hall street in the business district is the perfect place for your Christmas countdown – nip out of the office straight into a bottle of Prosecco. This place is two minutes away from all the majority of Liverpool’s offices, where they have a great function space upstairs if your party size is larger than most. 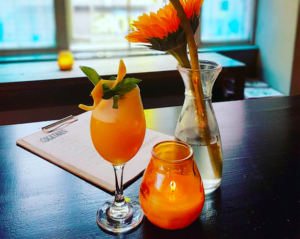 Get funky on Hope Street at Frederiks. 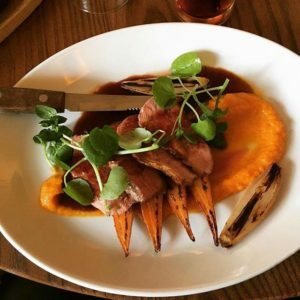 Their cosy neighbourhood kitchen has the option for lunch or dinner, where you can get three courses for either £20 or £25 per head. From a braised beef brisket to a nut roast to a sharing platter for £20 per head. This one will not lack on the Christmas vibe with their large and toasty fire. 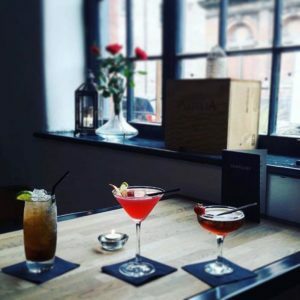 Whatever your office plans are this year, be sure to celebrate the year gone by whilst knowing your supporting and showing love to local business owners, who all work very hard to bring the people of Liverpool a great place to eat, drink and spend time with loved ones each year.